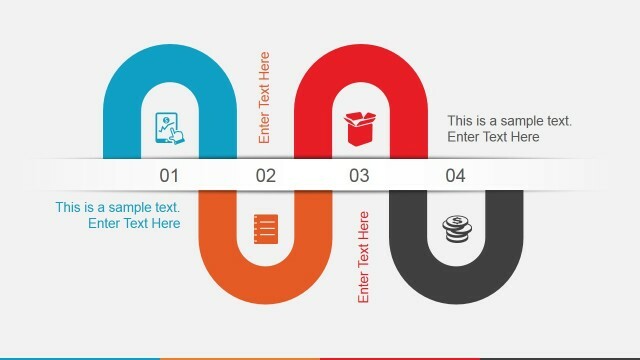 Is not impossible to create animated PowerPoint presentations that look great. Microsoft PowerPoint has a collection of great animation effects that you can apply to individual shapes and objects. Even if animated objects and traditional cliparts are often considered to be unaesthetic for professional presentations but adding subtle animations to your PowerPoint slides can really help you to enhance your presentation and help to convey data & information to the audience. This PowerPoint template with subtle animations contains useful slide layouts that can help you to present data and convey a message. You can start your presentation with the animated agenda slide design containing up to four topics. Animated agenda slides for PowerPoint. Animated timeline designs for PowerPoint presentations. Pins & World Map slides for PowerPoint. Creative Bar Chart slide created with custom shapes. Then you can include a detailed timeline using the creative U-shaped slide with animations. This slide contains an horizontal timeline with four animated U shapes starting from the left to the right. It can be used to present a plan with numbers representing timeline milestones (months, years, or even step numbers). Additionally, this animated template for Microsoft PowerPoint contains a world map slide design that you can use to pin any desired location. 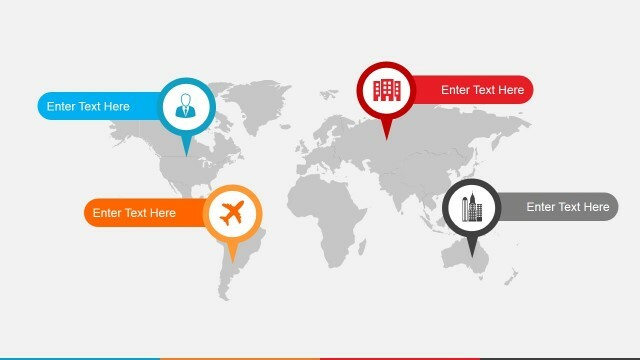 By using built-in PowerPoint shapes you can easily adapt the map to fit your presentation needs. 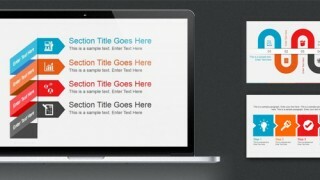 Here you can see a live preview of this animated PowerPoint template with subtle animations. Animated PowerPoint template with flat colors and styles is pre-designed and ready for Microsoft PowerPoint 2007, 2010 and 2013. You can download this template from SlideModel.